The Sylvia dress is beautifully crafted from satin and features an elegant cowl neck and delicate capped sleeves. The dress is lined and the back is designed with a subtle trail. 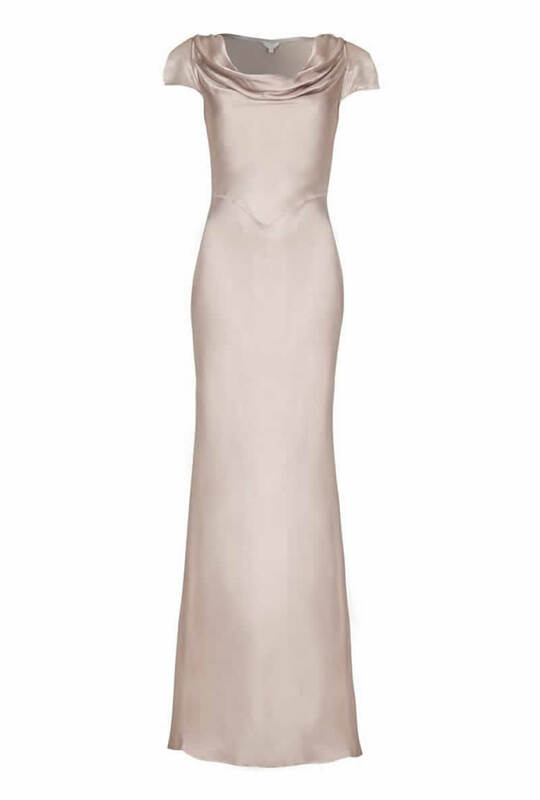 This stunning floor length gown is graceful and sophisticated.